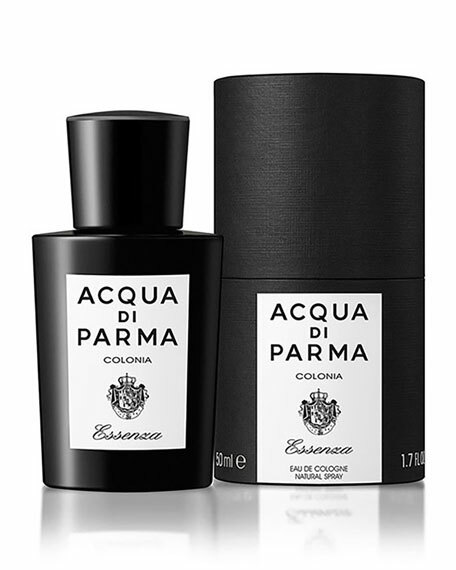 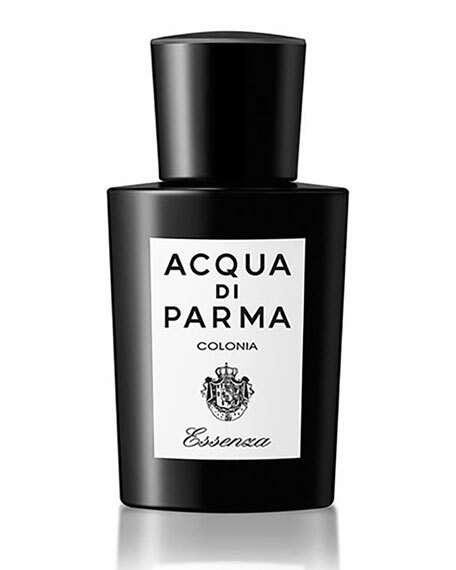 Acqua di Parma Colonia Essenza Eau de Cologne Spray, 1.7 oz. 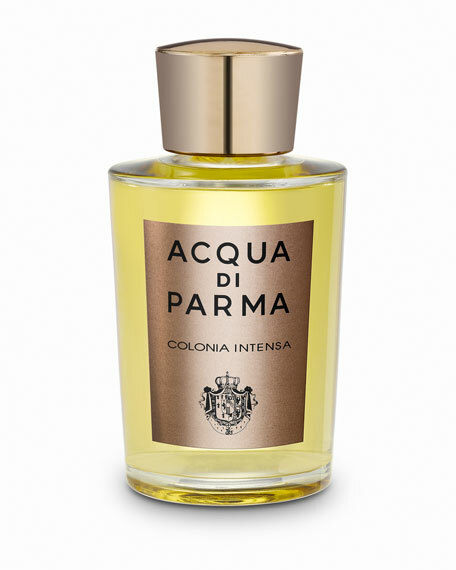 Refined and elegant, the newest Eau de Cologne from Acqua di Parma is handcrafted in the same tradition as the original and iconic Colonia, that, since 1916, has represented the essence of Italian luxury and style. 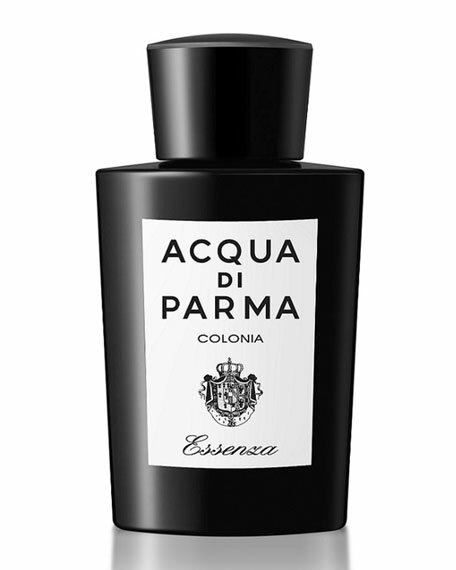 Colonia Essenza is a citrus woody fragrance which is handcrafted using only the finest and purest essences used in fragrance making today. 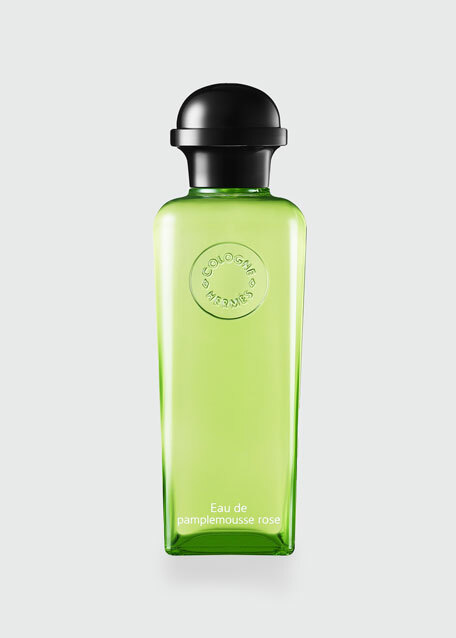 Notes: Bergamot, Lemon, Mandarin, Orange, Grapefruit, Petit grain, Neroli, Rosemary, Clove, Lilly of the Valley, Rose Accord, Jasmine Accord, Patchouli, Vetiver, White Musk, Amber. 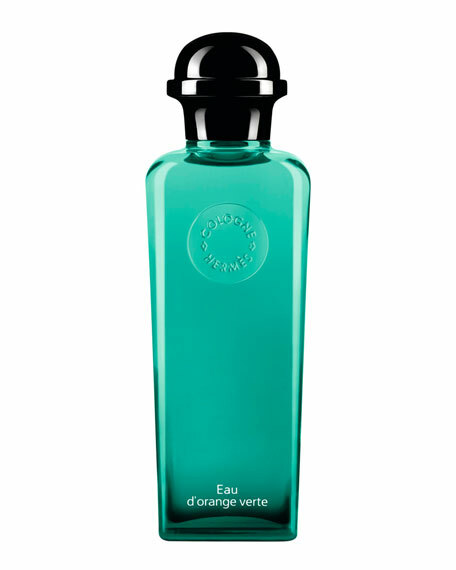 Top notes: Calabrian bergamot and Sicilian lemon, enriched with vibrant cardamom and ginger. 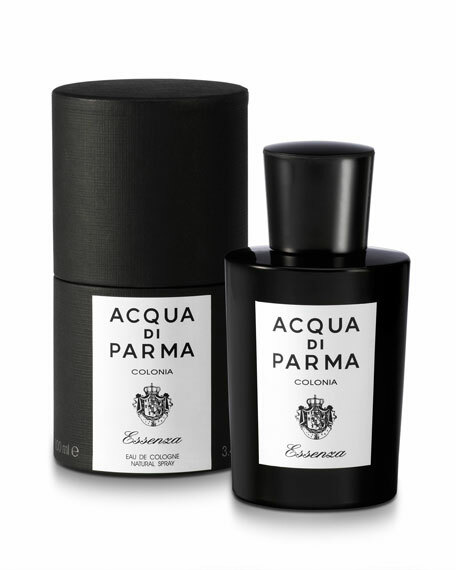 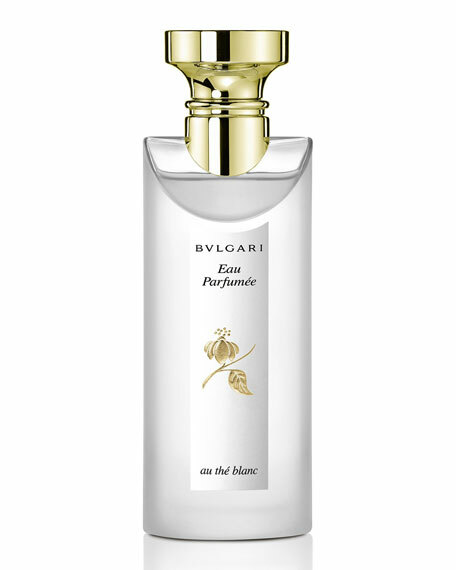 Middle notes: Aromatic myrtle and mugwort with refined and clear accents of neroli. 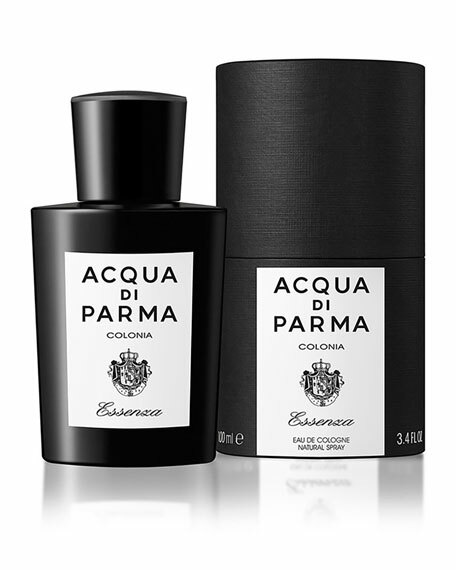 Base notes: Sophisticated leather note creates an aura of virile charm.